I'm no longer posting here at The Wild Beat. 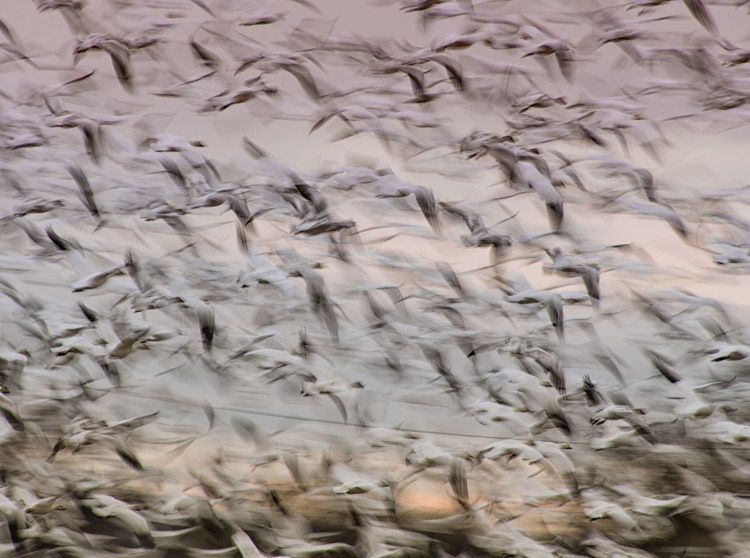 The sound of flocking snow geese is sometimes described as a “cacophony,” a “symphony,” a “storm” — a “baying of hounds,” a “noise blizzard.” The sound, in fact, varies. 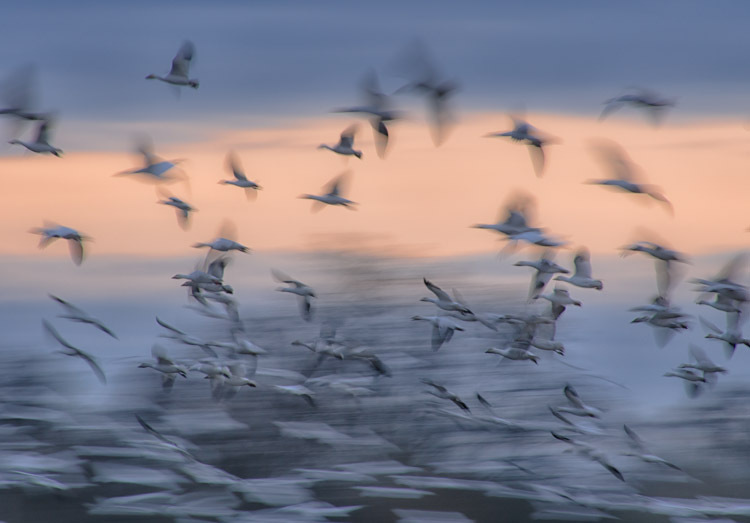 There’s a comfortable warbling of goose grumbles and calls as the birds graze, punctuated by escalations that bubble up in sections of the flock. Then, there is the silence — a sudden, dead halt to the goose voices. It’s just a blip, a clipped hesitation, a warning. What follows the silence is more than a storm. It’s a boom. It’s an eruption of wings that ignites the sky in a white blaze. 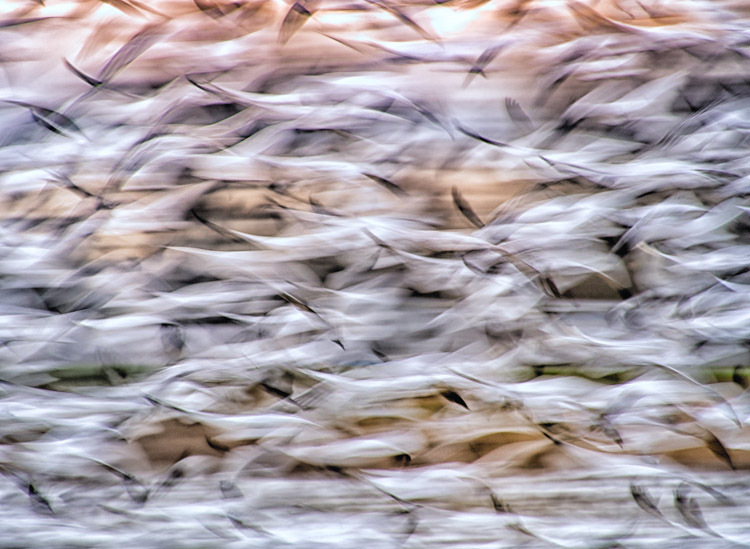 The flighted mayhem is so organized and brilliant, it’s choreography — wingtip to wingtip in squadron maneuvers that should collide but never do — where thousands of feathered souls alight in unison, twirl across Cumulus backdrops, then drop down in formation like white petals. I watched this spectacle again last week, on the rural quilt of Fir Island farmland, meeting up with friends who’d flown in from the Bay Area. On this particular visit, I slowed the shutter … for a couple of reasons. First, I was hindered by the Northwestern winter, tenebrous and unforgiving. Second, I wanted to capture the words above in images that suggested souls, blazes, whiteness, and cumulous wings. 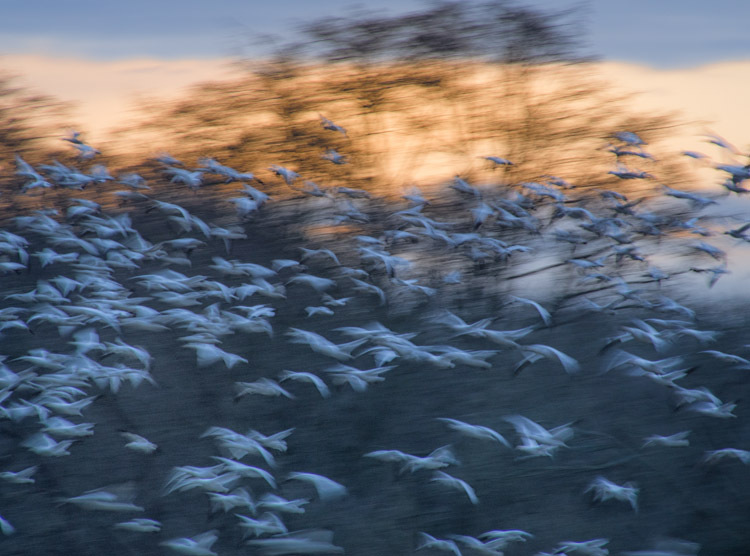 I photographed these Snow Goose blasts at 1/20, f16, IS200 … hand-holding the Olympus OM-D. The light and tone was variable from east to west, from moment to moment as the sun sank, still cloaked in brume. I shifted white balance for effect, and brought up some contrasts and details to mold abstractions and apparitions from the corporeal. 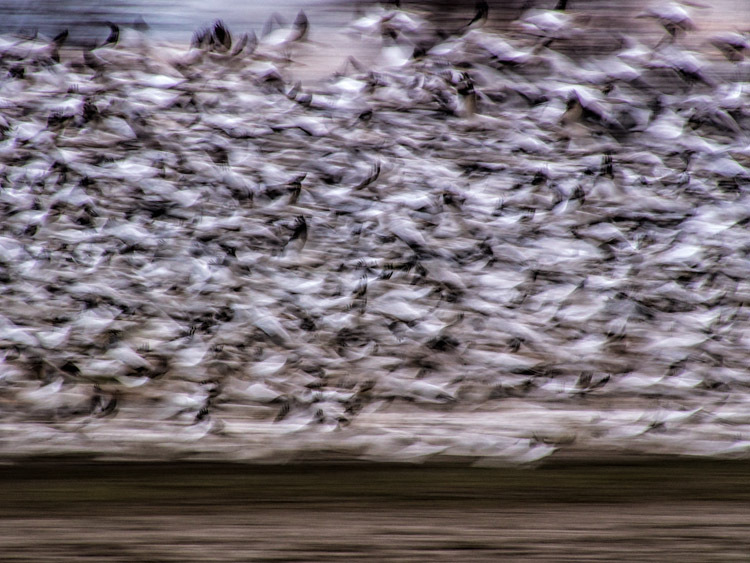 The result: The Ghost Geese of Fir Island. These are terrific Ingrid! I can see why these look “ghostly”. Just by looking at the images I can hear the symphony. I like these effects, these congregations must be so surreal! avoid going beyond it as much as possible. Apardtments have their place as an effective, low-maintenance type of property within an urban setting. By ordering the brickwork on that certain area with water-repellent treatment migyht help you to solve the situation.